The lottery was drawn on 15 January 2019 at Oxfam Hong Kong office by Stephen Fisher, Acting Director General. Lucky teams will be informed accordingly. Congratulations! Asia MilesTM terms & conditions apply. 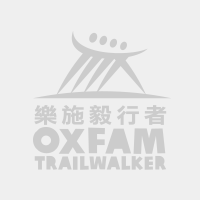 Lucky teams please provide the following information of your member to Oxfam through email (otwinfo@oxfam.org.hk) on or before 1 February 2019. For enquiries, please call Oxfam Hong Kong at 2520 2525 or email to otwinfo@oxfam.org.hk. Lucky teams please come to Oxfam office together with the redemption letter to redeem the coupons from 21 January to 28 February 2019. Information to donors - Registration & Number. Certificate of Incorporation 215859.